A comprehensive look at the current and future trends of workforce management for the fast casual, casual dining and QSR segments. 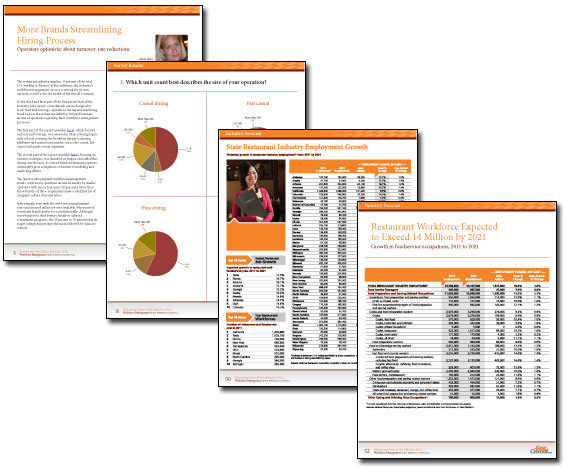 In the third and final part of the Restaurant State of the Industry Report, a benchmark survey designed to track food and beverage, operations, hiring and marketing trends across the restaurant industry, 206 professionals answered questions regarding their workforce management processes. Purchase and download your copy today!